Come listen to the Ames’ infrastructure — maybe you’ll hear it for the first time, or maybe not, but it’ll sound like nothing before! Free, but advance sign-up required at http://tibichelcea.net/fpg-bit/ to be able to rent an appropriate mini-van. A second tour the same day at 3pm is possible if enough people sign. 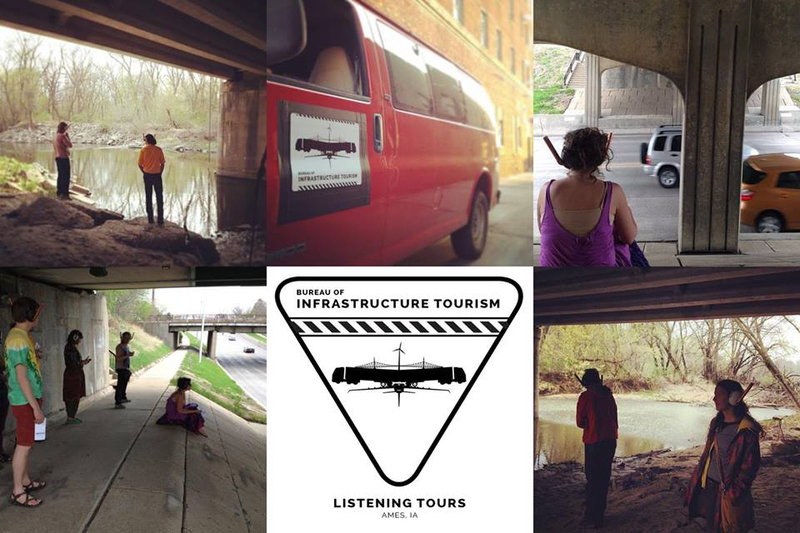 Alex Braidwood, assistant professor in the College of Design at Iowa State University, will present a tour of Ames infrastructure, organized by his own “Bureau of Infrastructure Tourism”. BIT is an organization that develops tours and documentation of various infrastructure features from around the world. These elements of the built environment often go unnoticed or ignored. Many are commonly considered to be non-places. Tours allow participants to document their experiences in these overlooked parts of town, so that these spaces become part of new city mental maps for participants. As part of the tour, participants will walk and visit several infrastructure—heavy parts of Ames. Event in Ames, IA by Tibi Chelcea and Alex Braidwood on Saturday, March 30 20196 posts in the discussion.